August 5, 2014 By Allyson 1 Comment This post may contain affiliate links. Read my disclosure policy. 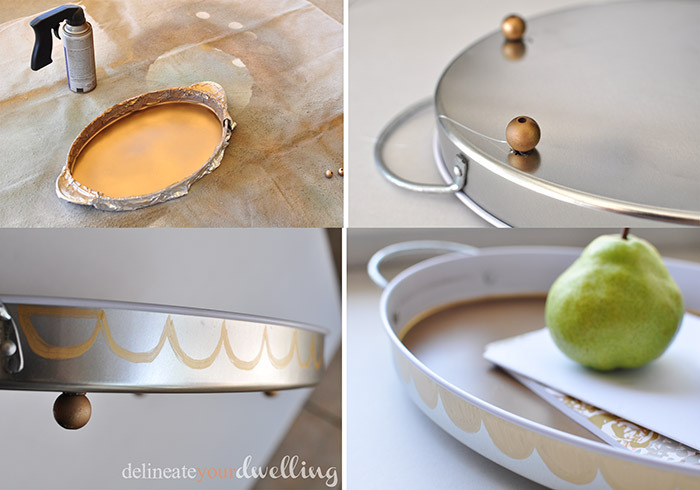 Today we have a great DIY Guest Post from Amy at Delineate Your Dwelling! 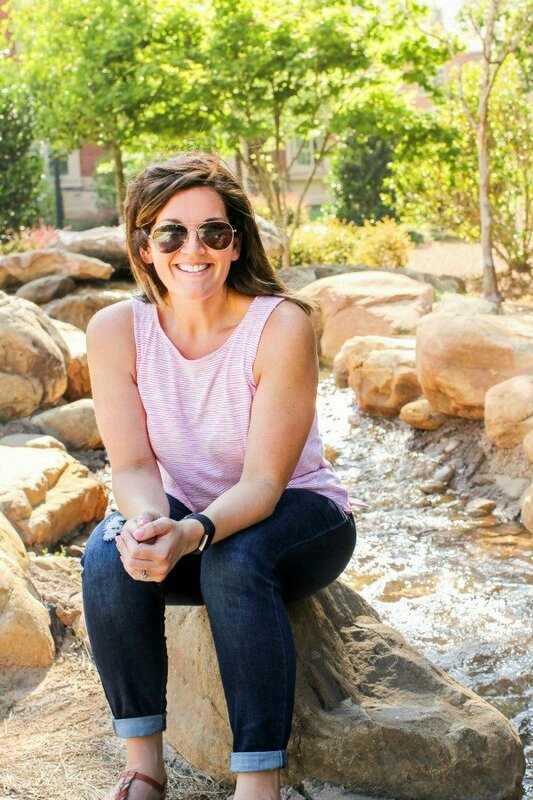 Be sure to check out her blog for other great projects, too (and see her social media links at the bottom of this post)! Let’s check it out! Hello Domestic Superhero readers! I’m Amy and I write about all things that make my heart go pitter patter over at Delineate Your Dwelling. 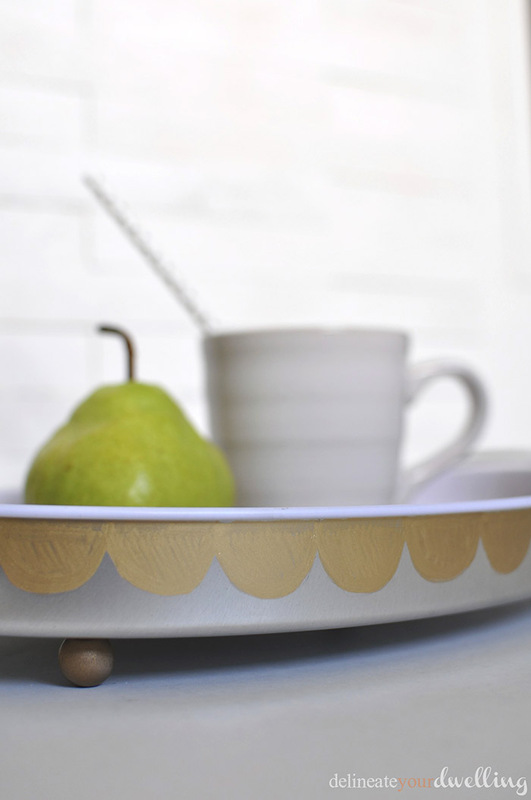 I’m so excited to be here with you all today sharing my Bronze + Gold Summer Tray. 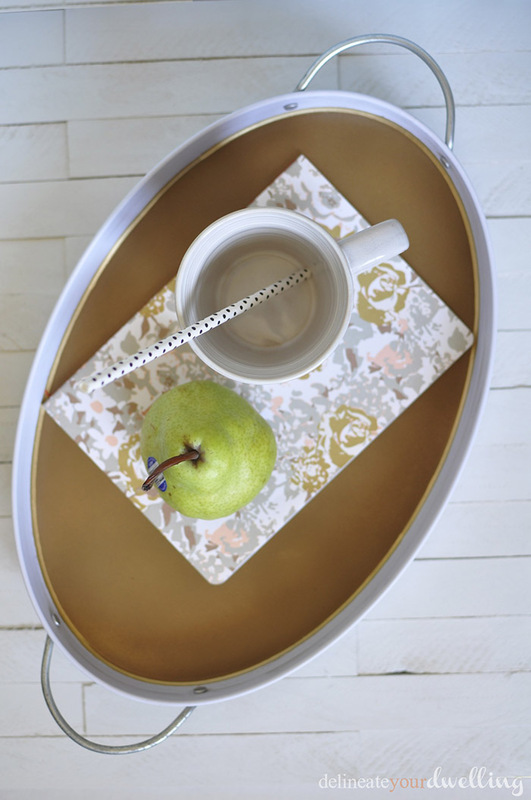 I found this metal tray at my local Michaels store and knew with a few quick modifications it could be the most lovely summer accessory! 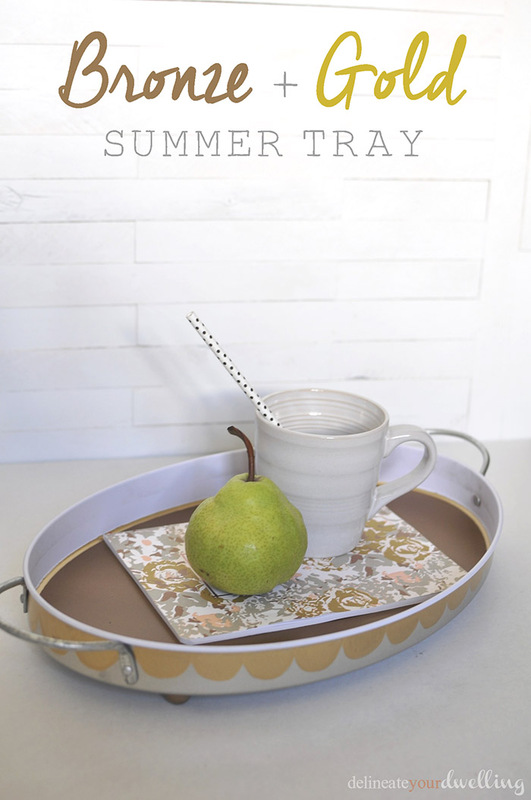 I love to entertain and summer is the ideal time for outdoor dining, friends over for barbecues or an evening margarita and this tray works perfectly in all those situations! 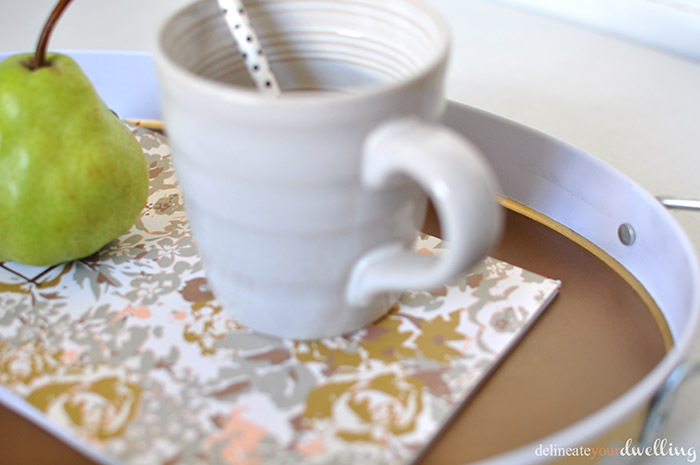 I circled the metal tray with a layer of tape at the very bottom and then covered the edges with aluminum foil. I then gave it two or three coats of Bronze Spray Paint to cover up all the text from the original design. After the paint was dry, I also spray painted four wooden balls and hot.glued them to the bottom of the tray. 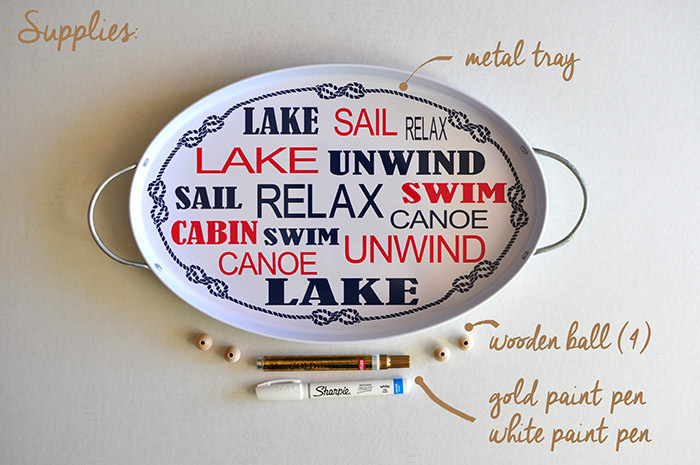 Using my gold paint pen, I then hand drew and filled in a scallop pattern on the outside edge. I’m such a softie for a lovely scalloped edge. The very final detail was adding a thin gold stripe on the interior right where the bronze and the white met, just perfection! Thank you so much for having me today, Allyson! If you would like to see a few other of my favorite projects, be sure to stop by Delineate Your Dwelling and say hello! Thank you for letting my guest on your blog today!